I made these for my family today and while they tasted amazing I felt like they were way too sweet for us. Have you tried doubling just the pancake batter and used just the one batch of the glaze and filling? I wonder if you could use an apple cinnamon mixture instead of the regular cinnamon mixture. I don’t have a problem with mixture other than the fact I don’t like buttery tasted things. Butter is not something I’m a fan of. Also I wouldn’t use a cream cheese frosting as cream cheese is worse tasting than butter so that’s an easy fix for the glaze. These are amazing and so worth it! While I’m not trying to bash, I just made these *literally RIGHT NOW & they came out HORRIBLE. The batter was too watery, the cinnamon mix was also too liquid-y & melted as soon as I flipped the pancakes over so instead of the mouth-watering cinnamon swirl pancakes that I had promised my kiddos this morning, an hour later, all I have are messed-up burnt pancakes that look nothing like what’s pictured in the recipe. I feel cheated somehow & I spent TIME making these so….a little more than disappointed. Exact same situation. I made adjustments for the rest of the batch but it’s still a bad formula where everything was off in texture and no forethought was give to that SUGAR BURNS. When you flip pancake, cinnamon filling just melts out onto pan. Unless I am missing something, this just didn’t work! These are very good but super sweet. This is definitely one of those breakfasts recipes that qualifies as dessert. Alyssa, Thank you for the recipe & Instructions. I tried these and found that a lot of the cinnamon swirl got dumped out of the pancake. Do you know of any tricks to keep the cinnamon mixture in the pancake body? As far as ratios of filling and glaze, I recommend doubling up on the amount of cinnamon filling and cutting the cream cheese glaze in half. Otherwise you’ll end up with too much glaze and not enough filling. Which is where we’re at now. Delicious recipe! I just tried these and the filling melted all over before the pancake could cook on the other side. Am I doing something wrong? These were amazing! I doubled the recipe and added just a little extra flour since I prefer my batter a little thicker. I didn’t have any problems with the cinnamon mixture oozing out, it kind of sunk into the pancake during cooking. All three of my kids asked for seconds and we had a friend over who ate more than anyone. We had no leftovers. I’ll definitely make again (in larger quantities)! These were absolutely delicious!!! Best pancakes I’ve ever had! I agree on asking myself why haven’t I made these before lol. However I was having trouble with the filling leaking out and burning the pan, so I came up with this idea: to freeze the filling and then place it in the pancakes. So I used softened butter instead , and piped spirals on parchment paper then left in the freezer for 15 mins. I also added about 1/4 extra cup of flour to the batter to make it slighter thicker to hold the filling. It worked amazingly! I kept the others spirals in the freezer and it wasn’t any extra hassle to use a spatula to lift them off the tray and place in the poured pancake batter. I used a knife/spoon to gently push the filling in the pancake and very minimal filling came out. It still resulted in amazing pancakes I didn’t have sugar burning my pan and didn’t have to clean up so much in between each pancake lol. I highly recommend this technique if you’re having trouble with the filling! Recipe 5 stars out of 5! Great post, keep posting such recipe!! 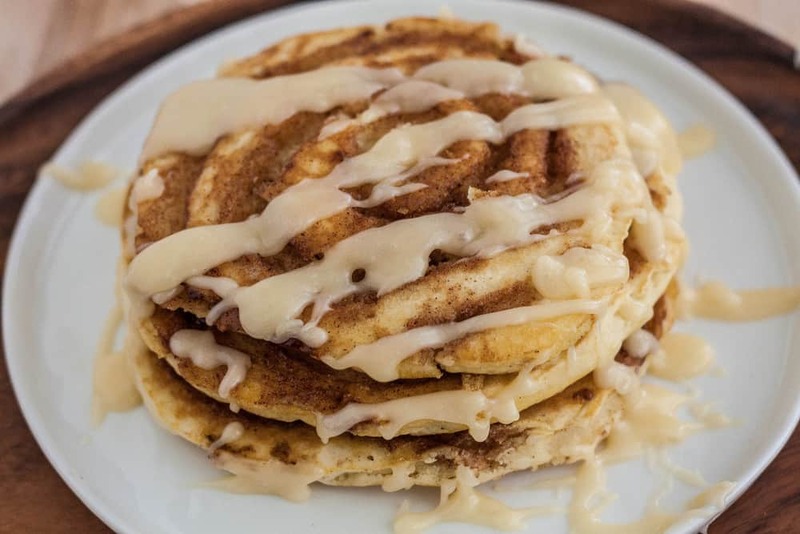 Cinnamon goes everywhere but into the pancake. It almost would be better if just mixed with the batter and incorporated into it. Otherwise we just got gross soggy cinnamon butter pancakes. Soggy pancakes are just blasphemous. I have made these many times for my boyfriend and he asks for them at least every few weeks- i think these are they are the best pancakes I’ve ever had too. 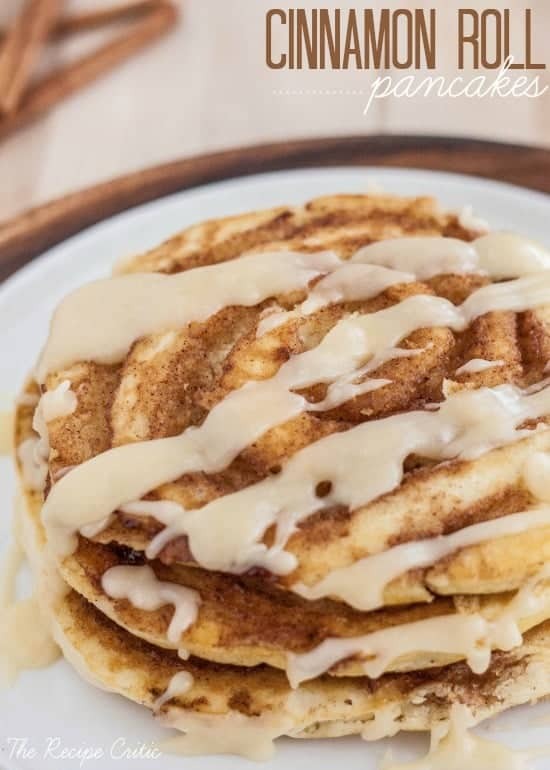 Such a creative idea to swirl the brown sugar cinnamon mixture onto the pancake..i can’t really understand why people are having such a difficult time with it. Thanks Alyssa! Keep up the good work!! This is so good to hear. Thanks for the comment and for the kind words. I really like them as well. Thanks for following along with me! I want to try this as waffles…anybody try this? ?…any thoughts? ?